HOLDS 480 GALLONS OF WATER. WILL CALL TOWING REQUIRES 2" BALL HITCH. CLIENT MUST PROVIDE WIRING FOR TRAILER. 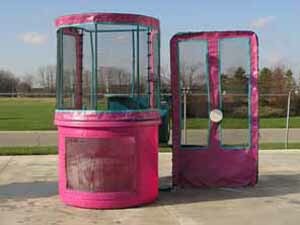 * Please call us for any questions on our dunk tank rentals in Ventura CA, and surrounding metro area.